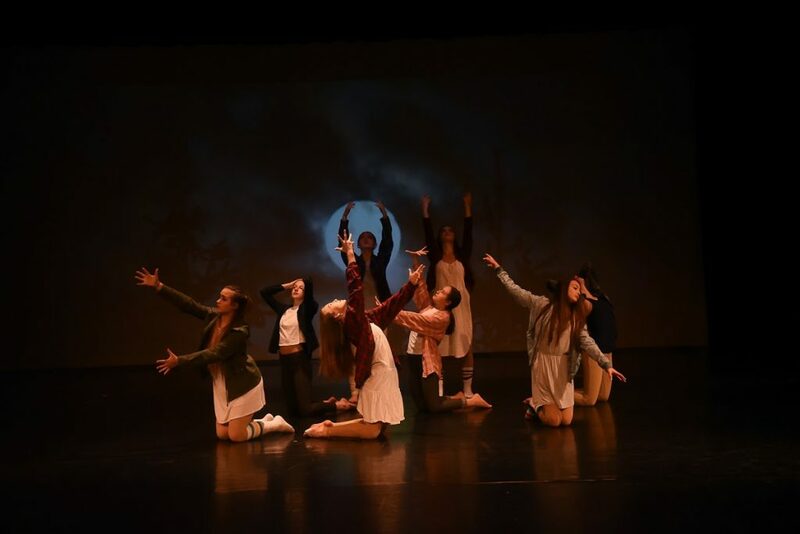 Nevada Union High School Theatrical Dance presents two performances of Fall for Dance 2018: Friday, November 16th at 7:00 p.m. and Saturday, November 17th at 2:00 p.m. at the Don Baggett Theatre, located at 11761 Ridge Road, Grass Valley. Fall for Dance showcases beginning, intermediate, and advanced dance students performing theatrical and world dance pieces. The show opens with a fusion of latin jazz and hip hop, set to the song “El Anillo” by Jennifer Lopez, choreographed by the program’s Director, Courtney Wadman, and performed by thirty students in the advanced class. This piece is followed by a student choreographed dance by senior Lindsey Woods, who is dual enrolled at North Point Academy and Nevada Union High School. For her senior project, Ms. Woods taught dance classes two mornings per week this semester to students from the Special Education department. They learned choreography, designed their own costumes, and will perform to the song “Thunder” by Imagine Dragons. Then, the Nevada Union Dance Team will perform contemporary dances choreographed by the program’s new Assistant Director, Gabriella Blaney. Ms. Blaney is a graduate of Nevada Union High School, class of 2008, and she received her BA in Dance from UC Irvine in 2012. She moved to New York, where she danced professionally and taught classes at Broadway Dance Center. Since moving back to Nevada County earlier this year, Ms. Blaney has been teaching contemporary and ballet to students in all levels of the N.U. dance program. Last month, Ms. Blaney and Ms. Wadman took a group of 31 students from the intermediate and advanced classes on a field trip to New York City to see shows on Broadway and take master classes from professional dancers, including an audition-style class with N.U. alumnus Jesse Beck, who guest choreographed a mini-musical inspired by Little Shop of Horrors to close Act One of this year’s Fall for Dance production. Fall for Dance also features the talents of several guest choreographers who taught master classes and choreography to the Nevada Union Theatrical Dance program this semester, including Alison Clancy and Holly Warner from New York, Jenna Monroe from San Francisco, and local dance teachers Cassandra McAlister, Kayci Most, and Sommer Wadman-Huntley. These dances incorporate tap, hip hop, lyrical, modern, musical theatre, and jazz dance. The finale to the show is an Afro-Pop piece choreographed by Brazilian dance teachers Deanna and Anjali Figueira. 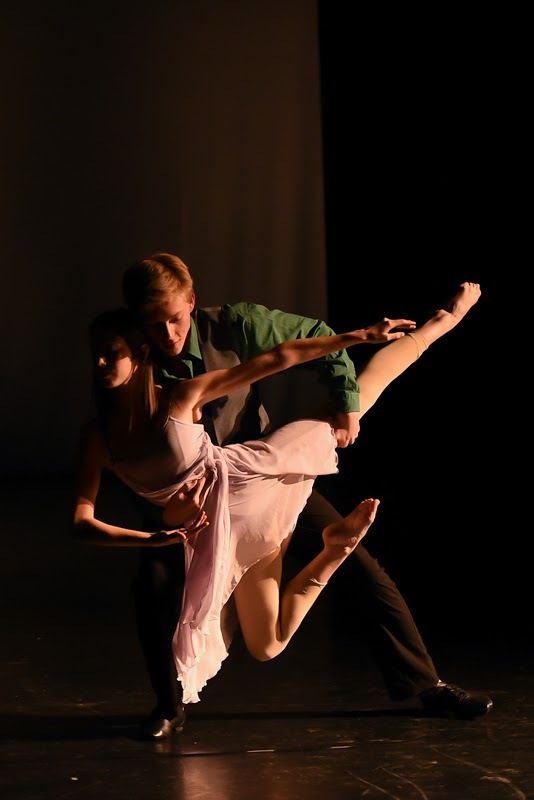 Audience members of all ages will undoubtedly enjoy the variety and versatility in these dances performed by Nevada Union’s award-winning dance program. Next month, the N.U. dancers will participate in the annual Dance Tour to several local elementary and middle schools in Nevada County, sharing their passion for dance through community outreach. 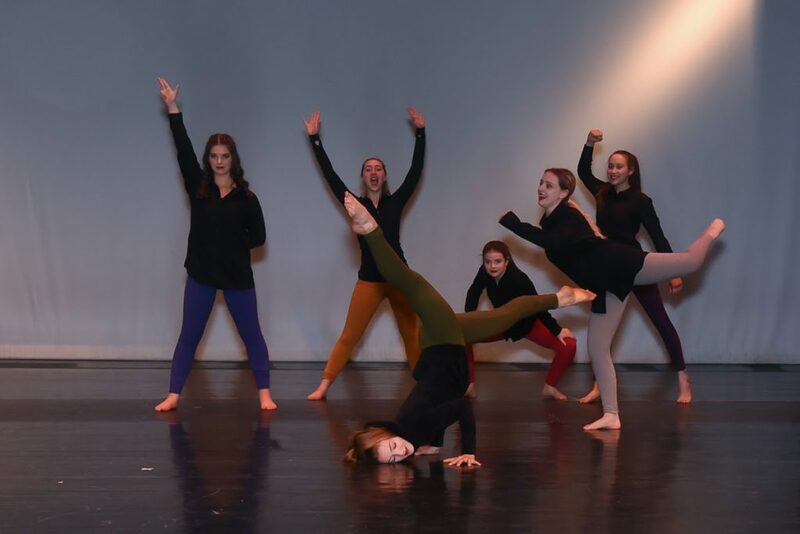 In February, they will attend the Northwest Regional High School Dance Festival in Vancouver, Washington, and at the end of February they will present the 18th annual Student Choreography Showcase. Their biggest show of the school year will be at the end of April and beginning of May, a production themed On Broadway. Tickets for Fall for Dance are available online at www.nevadauniondance.com/tickets/, and all seating is reserved. Ticket prices are $12 or $15, depending on seating location. Tickets will also be on sale at the Box Office beginning two hours before the show. For more information, contact the N.U. Theatrical Dance program at (530) 273-4431 extension 2103 or visit www.nevadauniondance.com.